If you like Tacos then you are in luck! 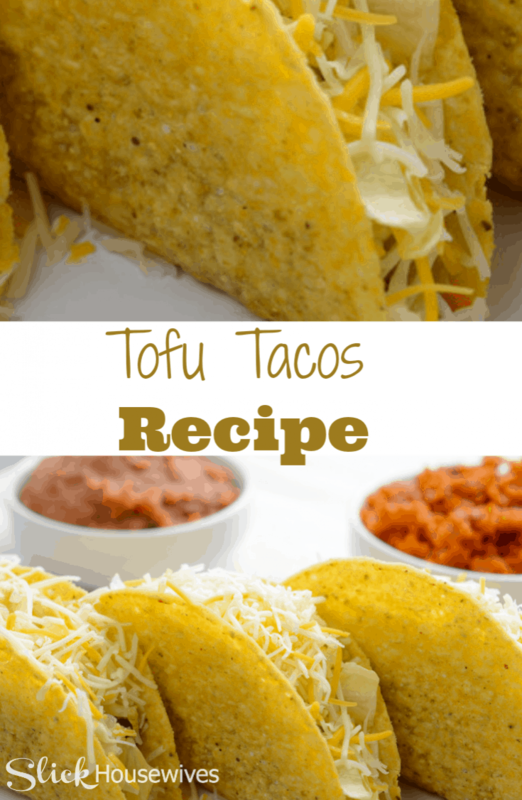 I put together a recipe that is easy and healthier in my opinion than ground beef tacos. At first I was a little scared that the family wouldn’t like the texture or taste of the tofu, but no one even noticed. 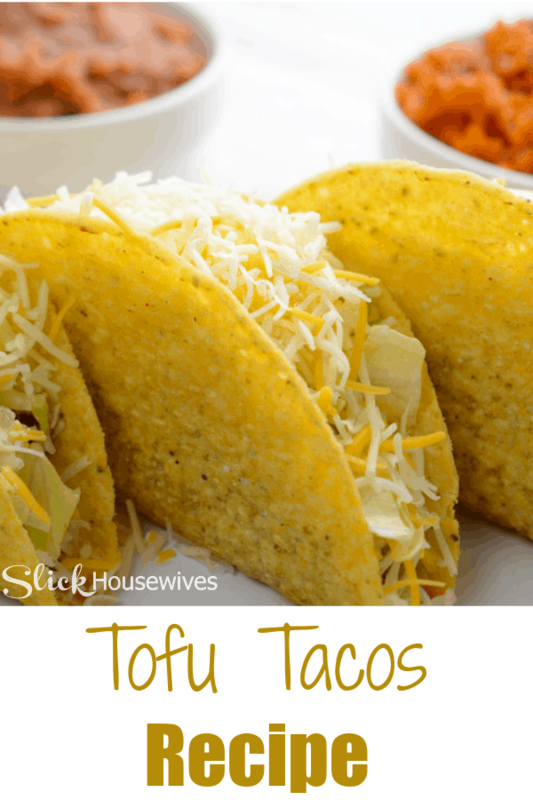 Tofu takes on the flavors of whatever seasonings you use, and it can be eaten raw or prepared in virtually unlimited ways including marinated, baked, grilled, stir-fried or sautéed. If you are trying to live a healthier lifestyle, you should try adding Tofu because it is high in protein and iron while low in calories and fat. What a great substitute for Meat! I used my Homemade Taco Seasoning Mix in this recipe because it’s so much better than store bought and costs a lot less. 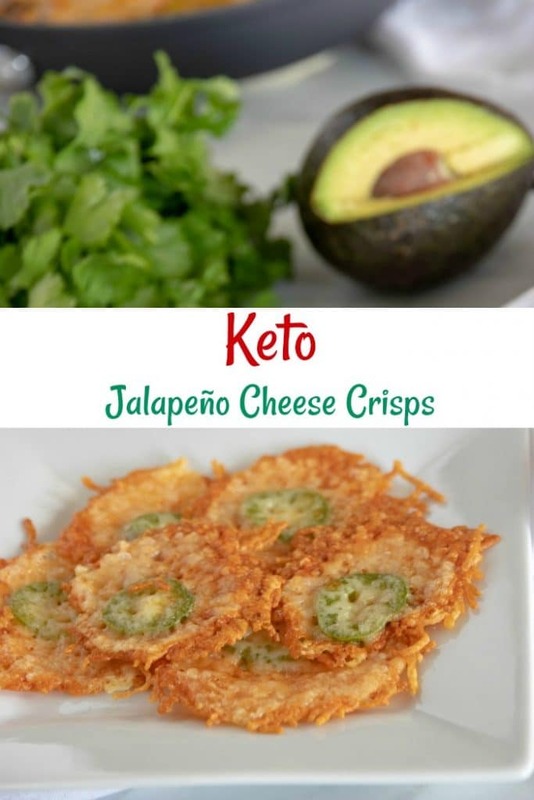 You could pair this with Homemade Refried Beans. If you would like to check out even more ways to make Tacos, check out this cookbook, 300 Best Taco Recipes and our Taco Ring Recipe! Chop tofu into bite size pieces. In a skillet over medium-high heat, warm the tofu for about 5 minutes. Add the water and taco seasoning. Bring to a boil. Continue with a low boil, stirring occasionally until water is reduced to almost nothing. While water is reducing, pre-heat your oven to 200 degrees. Slip the crunchy taco shells over the wire oven rack. Heat shells for about 5 minutes. Chop your tomatoes, onion and lettuce while waiting for everything to finish cooking.